Are you or do you know Maureen Crane Wartski? Maureen Crane Wartski is a published author of children's books and young adult books. Maureen Crane Wartski (born Maureen Ann Crane; January 25, 1940) is a naturalized American author She has written many novels for children and young adults. Wartski’s Eurasian heritage and her deep connection to the natural world have inspired many of her novels which address such issues as racism (The Face in My Mirror), (Candle in the Wind), (A Boat to Nowhere), identity (My Brother is Special), (The Lake is on Fire), (The Promise), and finding magic in every life (Yuri’s Brush with Magic). Maureen Crane Wartski was born in Ashiya, Japan, on January 25, 1940, to Albert Edwin Crane, a businessman, and Josephine Wagen Crane, a teacher from Geneva. Long before she told her first story at 14, Wartski was in love with writing. As a child, she listened to stories and folktales told by her aunts. Inspired by these folktales, and by an uncle who gave her an early introduction to classical literature, Wartski realized that words are magical things. Her Eurasian heritage and a deep connection with the natural world have influenced many of Wartski's young adult and middle-grade novels. A former high school English teacher, Wartski has conducted writing workshops, and has authored many books. Wartski attended the University of the Redlands from 1958-1958, and received a B.A. in 1962 from Sophia University. That same year she became a naturalized U.S. citizen. She is married to Maximillian Wartski; they have two sons and three grandchildren. The Wartskis currently reside in North Carolina. Maureen Ann Crane Wartski has worked as a high school English teacher, a history teacher, a reporter and a lecturer on creative writing. Her first juvenile book, My Brother Is Special, was published in 1979. She also contributes plays and short stories to children's magazines such as Highlights, Boy's Life, and Scholastic under the pseudonym of M. A. Crane. In 1980, Wartski won the Josette Frank Award from the Bank Street College of Education for her young adult novel, A Boat to Nowhere. 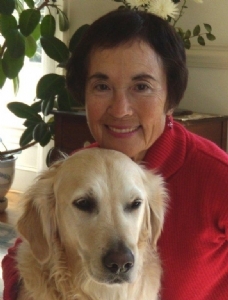 In 2010, Wartski published 13th children's book, Yuri's Brush With Magic, an adventure story about a young Japanese-American girl who must spend the summer on the North Carolina coast with her mysterious and magical "Aunt Yuri" from Japan. Wartski is also an accomplished artist. Wartski believes that race and ancestry are important parts of identity and uses these themes in her writing. Yet it is the similarities, the shared memories that allow her characters – and, she hopes, her readers as well – to move past difference and into friendship and trust. To edit or update the above biography on Maureen Crane Wartski, please Log In or Register.